Earlier this year, the industry was in shock with the sudden demise of veteran actor Sridevi. In what could well have been one of the most sombre moments for the industry, Sridevi’s funeral saw the who’s who from Bollywood making an appearance to pay their respects. Now a couple of months on, Sridevi’s daughter Janhvi Kapoor, who has handled this insurmountable loss with grace and poise, took to the image sharing site posting an image of Boney Kapoor and Sridevi. 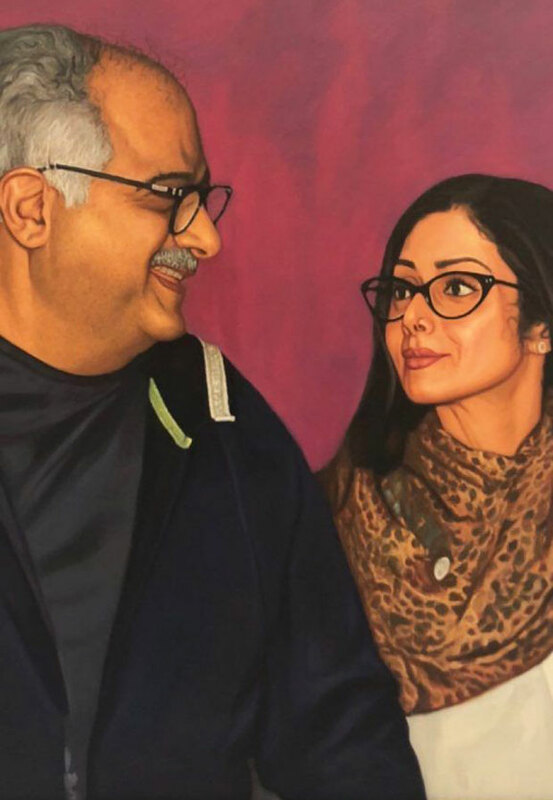 Taking to Instagram, Janhvi shared a painting of Boney and Sridevi looking into each other’s eyes that speaks volumes of the love and affection they had for each other. While the image itself had a certain heartfelt warmth for the two, we couldn’t help but imagine how much pain the young actress might be going through in this trying time. Back on the film front, Janhvi Kapoor is yet to be seen on the big screen in the film Dhadak. Also starring Ishaan Khattar, Dhadak that is being directed by Shashank Khaitan is slated to release on July 20. How would you rate Donald Trump's presidency so far?